Oscillation tools have quickly become the top tool on everybody's wish list. Because they are useful in so many applications, the tools are sought after by remodelers, electricians, plumbers, finish carpenters, and DIYer's. 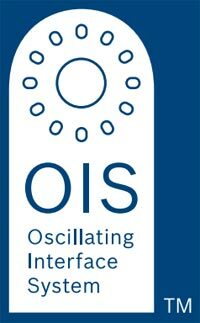 The oscillation tool market is still rapidly growing, but with each new tool, it becomes more and more fragmented. Why? Because every manufacture uses a different proprietary blade. In many cases, accessories from one brand will not work on the other brand. Bosch is taking the step that is needed to bring unity to a tool that really needs it by introducing the Oscillating Interface System (OIS). They hope the new interface system will be used as the standard by all other tool manufacturers. This might seem like an impossible task, but this is not a first for Bosch. They have already managed to do the exact same thing in the jigsaw market with the T-shank blade design, and in the rotary hammer market with the SDS bit. "OIS is a unique 12-pin system from Bosch that provides a secure, reliable connection between the tool and the accessory. That's important, especially with today's high-torque oscillating tools," says Ken Osberg, Bosch Group Product Manager. "It also enables users to position accessories in 12 different angles to deliver great maneuverability and access to work spaces." This new system is great and everything, but what about the tools we already own? Bosch has the solution for that; buy new Bosch tools. No, just kidding. Bosch has also come out with a universal adapter that works with all oscillating tools on the market. This single adapter will allow you to use the new OIS accessories on your old tools until the standard has been adopted. So how long do we have to wait until the standard becomes standard? According to the press release, Milwaukee Electric Tool is already on board and their new Multi-tool is OIS ready. Team all this up with Bosch's growing line of multi-tool accessories, and even more blades coming in Q1 of 20011 and it looks like we have a winner. The Bosch OIS blades are in stores now, and the OIS adapter will be launching this fall.